Such great empires as the Romans, Ottomans, and the Hammadid Dynasty each left lasting marks on Algeria's cultural landscape. The remaining fort ruins of Al Qal’a of Beni Hammad. Algeria is one of the leading tourist attraction countries in the North African region. The country has implemented some of the development strategies leading to development of modern hotels and infrastructure to promote tourism. Most of the tourists visiting Algeria come mainly from Europe and the US while the locals are also embracing domestic tourism. The country is characterized by ancient dynasty and empires with a rich traditional history that acts as major attraction sites. There are a total of seven UNESCO World Heritage Sites in the country. We look at a few of the most notable ones below. Also called Beni Hammad Fort, Al Qal’a of Beni Hammad is a former fortified city that now lies largely in ruins. In the 11th Century, the city served as the first capital of the Hammad Dynasty. The fort is in the Hodna Mountains at an elevation of 1418 meters. The site was inscribed as a World Heritage Site by UNESCO in 1980 and is referred to an authentic picture of a fortified Muslim city. The excavation around the city has led to discoveries of coins, jewels, and ceramics suggesting a high level of civilization in the Hammad Dynasty. The fortress was built in 1007 by Hammad ibn Buluggin who was the son of the founder of Algiers. The site is a major tourist attraction and is protected by the National Law 98-04 which protects the cultural sites. The management is under the Office of Cultural Properties Management and Exhibition. Djémila is a small mountain village along the northern coast of Algeria to the east of Algiers. 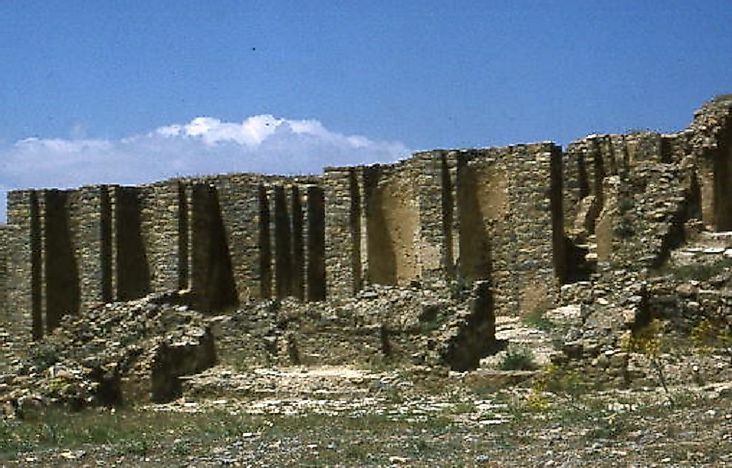 The village is home to some of the preserved ruins of Berbero-Roman. Djémila was declared a World Heritage Site by UNESCO in 1982 because of its unique adaptation of Roman architecture. Some of the significant buildings in this ruin include theater, temple, basilicas, streets and houses. The ruins are preserved and act as a major tourist attraction site for both local and international tourist. The site is protected by the National Law No 90-30 of 1990 and No 98-04 of 1998 which concerns the protection of the Algerian Cultural Heritage. Office of Cultural Properties Management and Exhibition is charged with the responsibility of managing the site. The Kasbah of Algiers includes the citadel of Algiers and the traditional quarters surrounding it. It is founded on the Icosium old ruins. It is considered an outstanding historical Maghreb city with an influence on town planning in sub-Saharan Africa. The area was inhabited in the 6th Century when the Phoenician trading post was established in the area. Traditional houses, palaces, mosques, and hammams are some of the fascinating ruins preserved at this site. The site still retains its identity despite the risks of earthquake and changes that have threatened it. The site was listed by UNESCO as the World Heritage site in 1992 and is currently under the management of Office of Cultural Properties Management and Exhibition. Other World Heritage Sites in Algeria include M’zab Valley, Tassili n’Ajjer, Timgad, and Tipasa. These heritage sites are protected by the National Laws to preserve and maintain the old sites from destruction. The sites are managed by Office of Cultural Properties Management and Exhibition. OCPME is also responsible for the maintenance and implementation of the protection plan.